Forget the wrapping paper; we've got the perfect birthday gift all wrapped up in one special package! 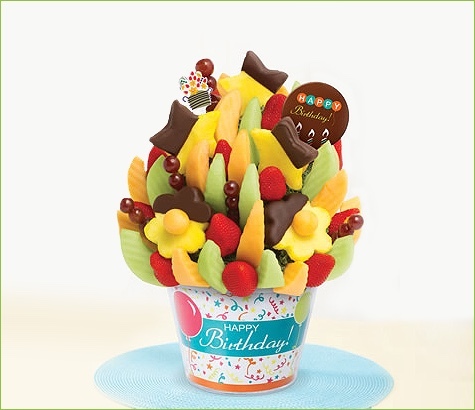 This birthday gift package includes our classic Regular Delicious Celebration® with pineapple daises and stars half-dipped in semisweet chocolate, cantaloupe, honeydew, grapes and strawberries. We have also added a decadent Gourmet Belgian Chocolate Pop for a sweet finishing touch on this birthday gift. An extra delicious way to say "Happy Birthday"! Plus, this selection also comes with a Happy Birthday balloon for that added special touch.